Despite being the largest Android smartphone OEM on the planet, Samsung has failed to deliver one of core drivers of smartphone sales; software optimization and timely updates. However, seeing as how the threat of manufacturers might actually end up dethroning the king of Android handsets, the company believes that it is high time that it start taking mobile software seriously. Despite the fact that Samsung has done extremely well where its mobile hardware is concerned, the company is definitely lacking the expertise where it requires to improve mobile software. 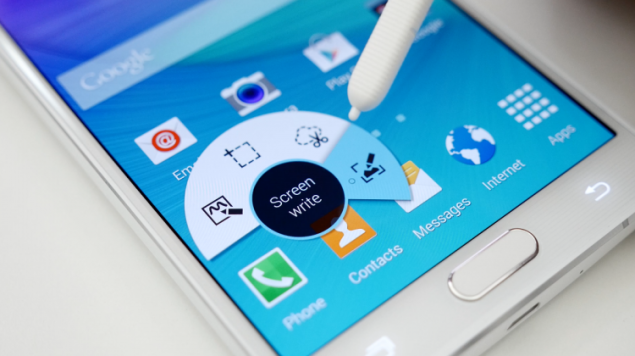 In fact, there was a report published where Google had been rumored to aid Samsung in optimizing its TouchWiz interface. Since Samsung is the largest Android manufacturer in the world right now, Google will definitely be doing its best to improve the software as much as it possibly can (in order to rake in software licensing fees). Sure, there are some real nifty features present in the high-end devices belonging to the South Korean tech company but all of them are of no use if system resources cannot be managed properly. One primary concern coming from majority of Samsung users is that despite the fact that the company’s smartphones are packing as much RAM as an entry level laptop (4GB of RAM), memory management issues continue to plague thousands of users. Additionally, Samsung should also keep in mind that with its Galaxy Note 5, it was pretty much killing off important features as it was moving up a smartphone generation, and these features included a removable battery and a storage card slot. Aesthetically, Samsung has completely refined the cosmetic appearance of its handsets, but the same thing cannot be said about their flexibility and software. With the imminent release of Galaxy S7, we expect that the all chipset variants, which include the Snapdragon 820 and Exynos 8890 one will include a MicroSD card slot, otherwise we could see the market share of the company dwindling once more. Another gripe of owning the company’s handsets is the lack of timely updates. For premium smartphone owners, it might give them joy to see that they are trotting around with the latest and greatest mobile hardware present in an Android smartphone, but the lack of system updates, where you have to wait six months (maybe even more) just to receive an update, Samsung should definitely be doing more. Hopefully, the company would have learned its lesson by now and will be making changes to ensure that it can provide the best possible after-sales service to millions of consumers out there. In your opinion, what is the biggest change that Samsung needs to make in order to get back into the smartphone game? Let us know your thoughts in the polls below.